[Crowd at Peach Festival. 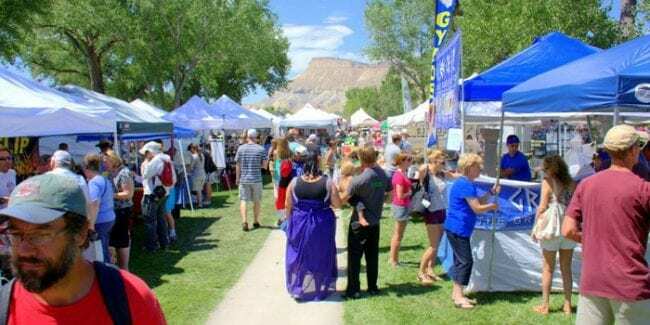 Photo: palisadepeachfest.com] Join the Palisade community for some sweet fun as they celebrate their 51st Palisade Peach Festival. This ultimate outdoor festival celebrates the town’s bountiful harvest and is considered one of the original agriculture events in Colorado. Every year, people gather in the Palisade Peach Fest for various entertainment, great food, contests, and other recreational activities perfect for kids. The annual Palisade Peach Festival will take place from August 15th to 18th, 2019 in Riverbend Park. Aside from the peach harvest, the festival is packed with a lot of activities like a car show, parade, peach cuisine, and BBQ, peach eating contest, biggest peach contest and a lot more. 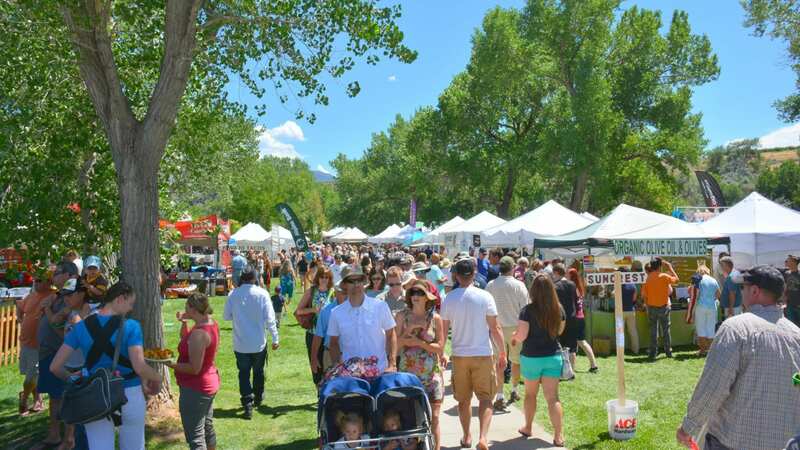 Expect chef demonstrations, music and vendors that sell fresh peaches and Palisade products. The festival that has become a well-known town tradition is surely a fun and sweet event to attend so be sure not to miss out on it.